Son of former Hearts defender Andy Bowman, Dave was born in Tunbridge Wells whilst his father was playing for Tonbridge Angels. 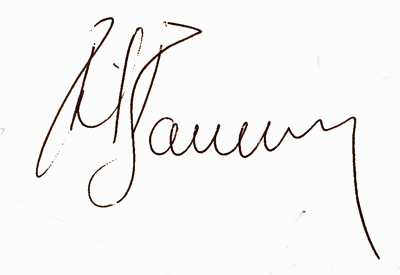 The family later returned to Edinburgh, where Dave played youth football for Salvesen Boys Club, before signing for his father’s former club, Hearts, in June 1980. Making his debut aged 16 years-old in July 1980, he quickly became a first team regular at Tynecastle. making over 150 appearances in his four and a half years with the Edinburgh club. 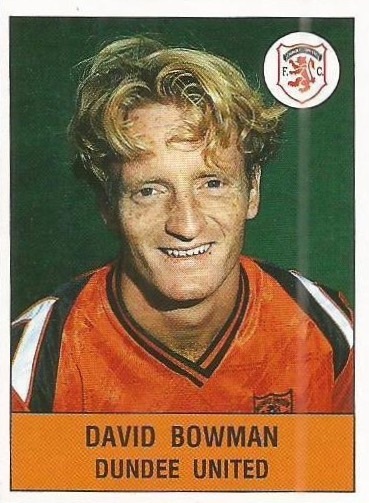 United manager twice tried to bring Bowman to Tannadice during this time, but in December 1984 he was sold to English top tier side Coventry City for £170,000, making his debut soon after. A year later he was joined at Highfield Road by former Celtic and Dundee player Jim McInally, and just days after the end of the 1985-86 season, United manager Jim McLean signed both players in a joint bid of £140,000 – a move funded by the transfer of midfield pair Billy Kirkwood and Stuart Beedie to Hibs on the same day. 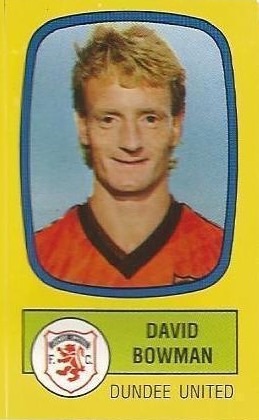 Dave made his first appearance in July 1986 in a friendly against Montrose, and his competitive debut followed two weeks later against Aberdeen at Tannadice in the opening league game of the season. In his first season with United, he was a member of the first team squad that reached the final of the UEFA Cup, playing in the ties against RC Lens, Universitatea Craiova, Borussia Monchengladbach and in the 1st leg of the final itself in Gothenburg. 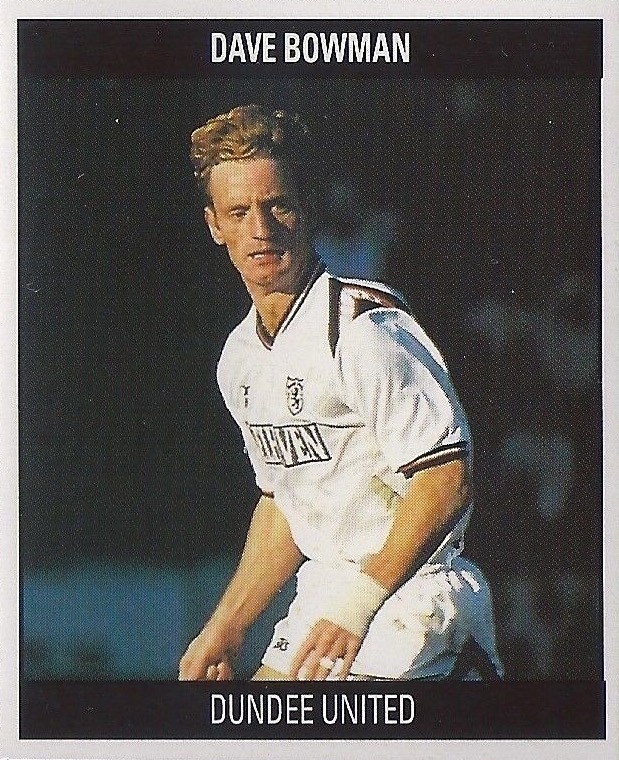 He also played in the famous Dundee derby Scottish Cup semi-final at Tynecastle, and in the final against St Mirren, but unfortunately was on the losing side in both finals that season. 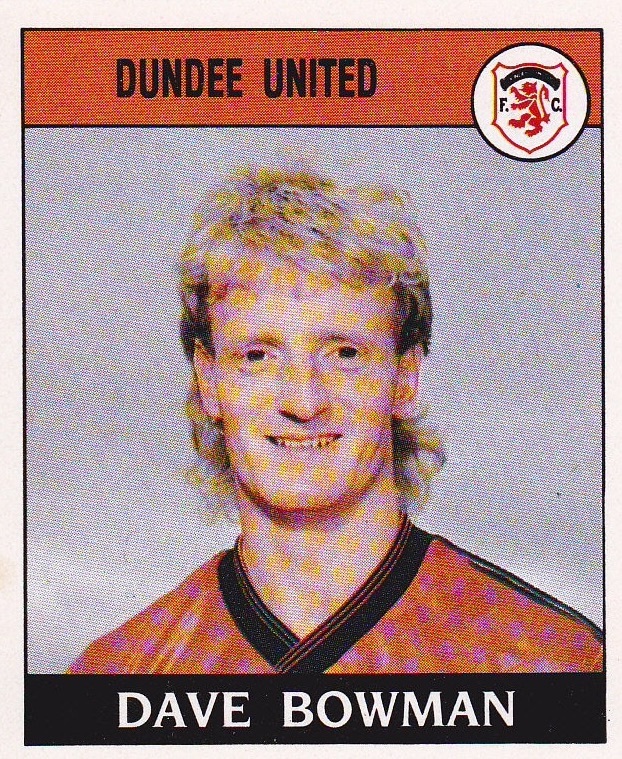 Playing for a spell as the first choice right-back the following season, he scored his first goal for United in a 5-1 win over St Mirren in March 1988, and collected a second Scottish Cup runners-up medal as United lost out to Celtic at Hampden in the final in May 1988. 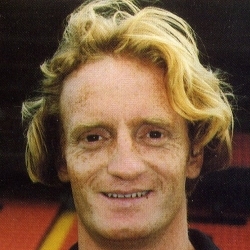 He collected a third Scottish Cup runners-up medal as United competed with Motherwell at Hampden in May 1991, a match in which he scored an equaliser early in the second half, before Motherwell eventually went on to win in extra-time. Having played for Scotland at schools, youth and Under-21 level, Dave was recognised at full international level when he made his Scotland debut against Finland in March 1992, going on to make 6 appearances for his country during his time at United. His run of bad luck in the Scottish Cup eventually ran out, and along with Maurice Malpas and Jim McInally, he was finally allowed to celebrate at Hampden Park when United lifted the Scottish Cup for the first time in the Clubs’ history with a 1-0 win over Rangers in May 1994. 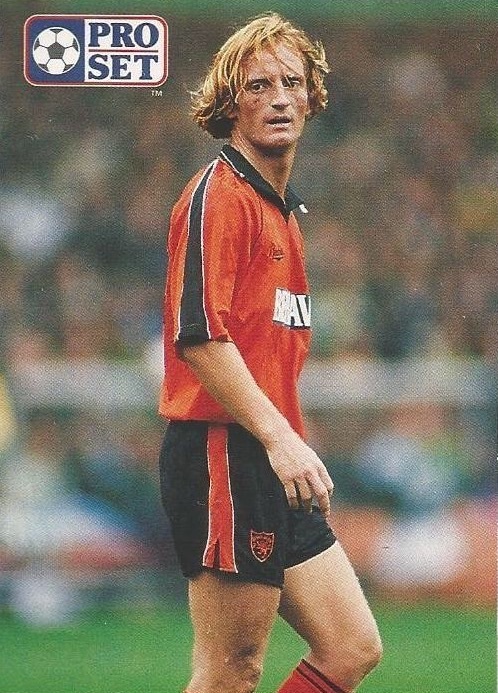 The midfielder stuck by the club after their relegation from the Premier Division in May 1995 and was rewarded for his services to the club with a testimonial against Dundee in August 1995. Soon after, Dave suffered a serious facial injury but recovered and was quickly back in the side, helping United to regain top league status after a year in the First Division. He was made Club captain in 1996 and was part of the entertaining Tommy McLean side that went on a 17-game unbeaten run in the 1996-97 season. He collected one more runners-up medal in November 1997, when United lost to Celtic at Ibrox Stadium. 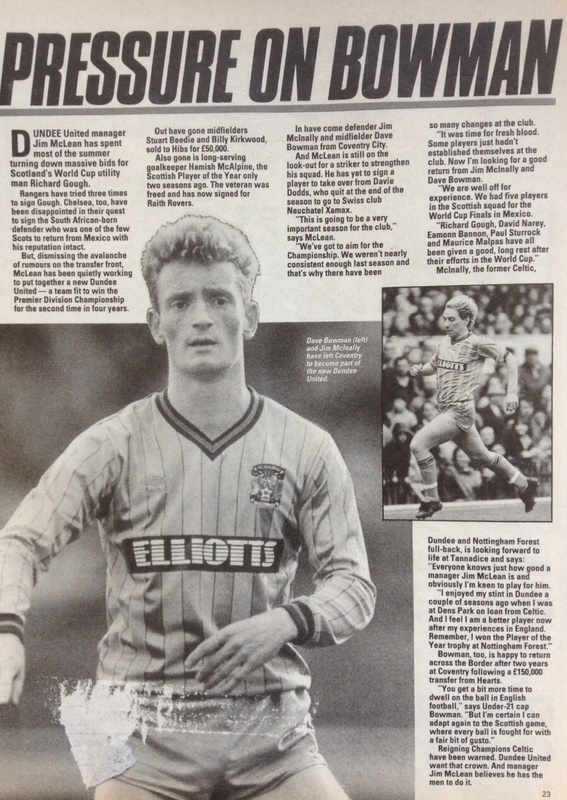 A highly influential player, Dave’s uncompromising style often had him in trouble with referees, but it also made him hugely popular with the fans. 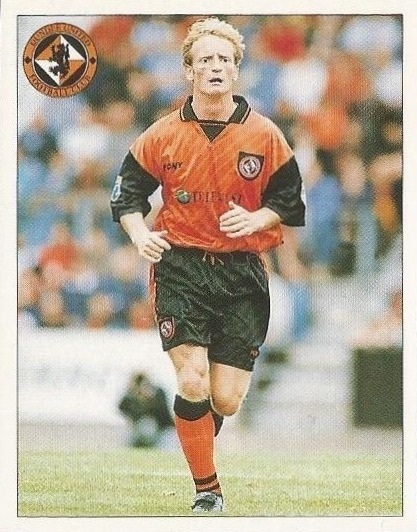 Given the nickname ‘Psycho’, it is surprising to note that he only received four red cards during his twelve years at Tannadice. 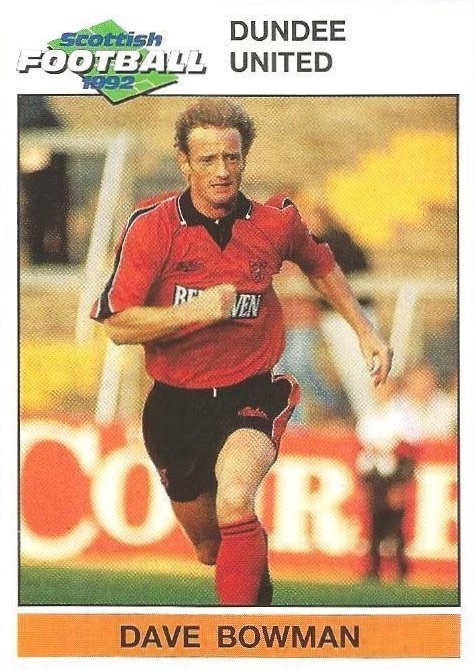 Dave joined Raith Rovers for season 1998-99 and then spent time with Orient & Yee Hope in Hong Kong before returning to end his playing career at Forfar Athletic, where he received a record seventeen match ban after being shown the red card five times in one match. 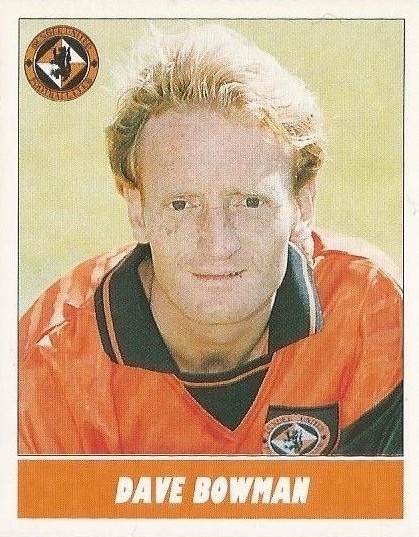 Whilst playing at Forfar, Dave joined the coaching staff at Tannadice, where, apart from a brief spell coaching at Livingston and Dundee, he has remained in a number of roles, including temporarily being in charge of the first team after the sacking of Jackie McNamara in 2015. Dave was born on this date in Tunbridge Wells, England. This was decidedly not one of the classic encounters between the two great East coast rivals. 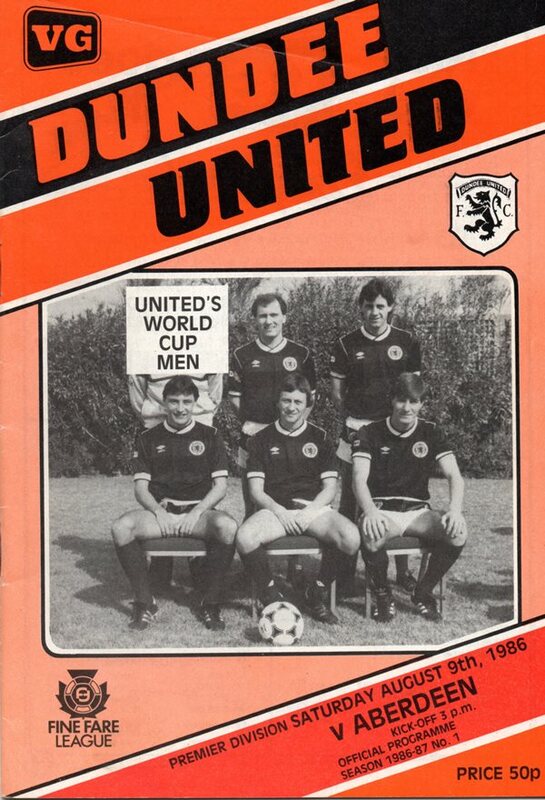 Having said that Tannadice fans wouldn't quibble at the outcome which provided a perfect start to the gruelling league programme. Little of consequence took place in the early stages although we opened brightly. Then Richard Gough, the centre of all the pre-match publicity, once again demonstrated the valuable asset he is. Dave Narey floated over a free-kick which Richard rose to head past Leighton's outstretched fingers. We recorded our biggest win of the season in fine style, despite going behind in seven minutes. In truth we could, or should, have been three up after only three minutes! French sent over a cross which lain Ferguson headed over. After two minutes Money denied Hamish French with a wonderful save and from the corner John Clark hit the ball past from close in. There was more than a degree of consternation when Saints took the lead. A corner from the right was headed on by Godfrey at the near post and Paul Chalmers applied the finishing touches. Eight minutes later we had equalised and heralded an onslaught on the Saints goal. John Clark rose with Money to a Eamonn Bannon cross and Alan Irvine sweetly hit a right foot shot past Money. The final fixture of the season produced a frustrating afternoon for all concerned. Rangers won, but lost the title to Celtic, whilst we could claim to be more than a little hard done to by the eventual outcome.